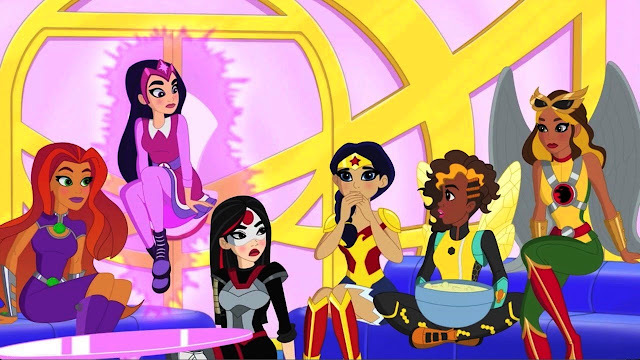 She's Fantastic: DC SuperHero Girls - STARFIRE! 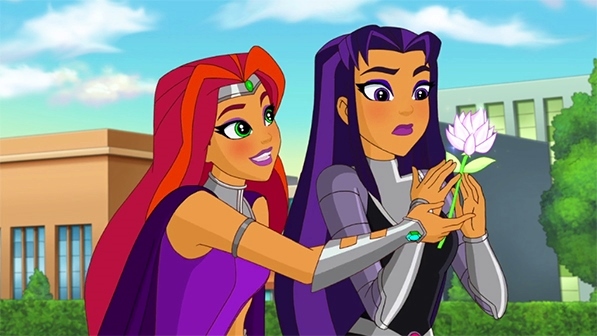 DC SuperHero Girls - STARFIRE! Starfire is a character that has really grown on me throughout the years. When I was first exposed to her (in the glorious Uncanny X-Men and New Teen Titans crossover comic from 1982) I actually really despised her. I was very young and I know my distaste just had to do with her appearance. And I know my problems focused completely on her hair. I still have trouble looking at the rust-colored, poofy, and inexplicably parted hairstyle. Then years later, as much as people disapproved of her New 52 reboot depiction, I overlooked everything in appreciation of her long-overdue hair makeover. I suddenly thought she was awesome. And I even liked her detached over-sexualized alien attitude that was a major point of debate. I now saw her as aggressive, creepy, and interesting which was a total 180 from my previous perceptions. Since then, I've seen her in several other interesting incarnations including her 12-issue solo series and her role in DC SuperHero Girls. This figure is a great addition to the line. Let's check her out! I was really nervous about her poofy rubbery skirt. In the solicit images and photos from Toy Fair, it looked like an awkward mess. But in person it's not bad at all, and the sheer bulk of her hair balances it all out. 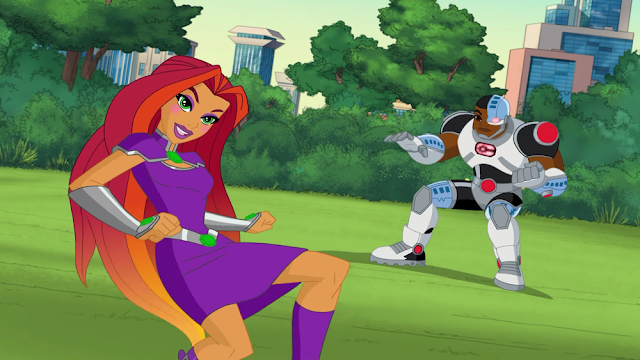 Starfire comes with a Starbolt accessory that can clip to her wrist. Here she with with the new Hawkgirl figure. Glad they finally made Starfire. I remember that 1982 X-Men crossover.